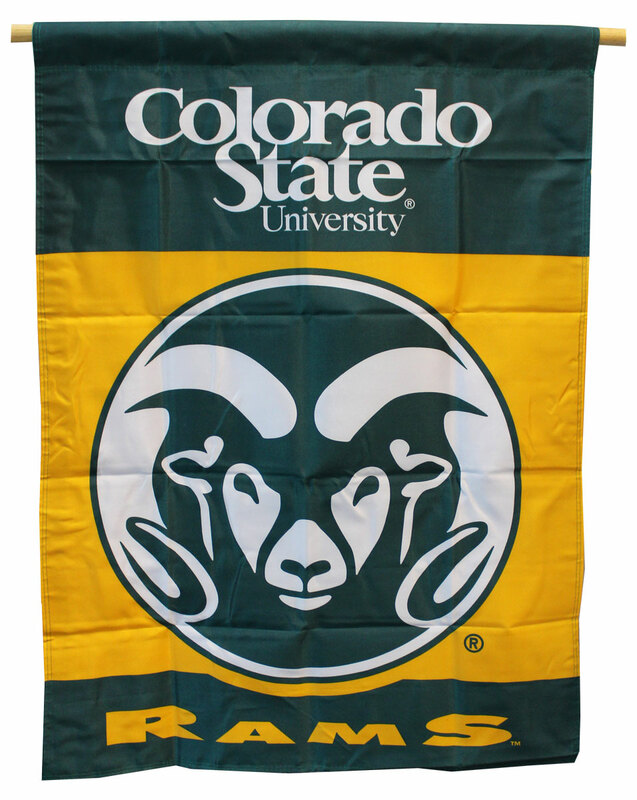 This Colorado State University banner is designed to hang vertically from an outdoor pole or inside as wall decor. The 28" x 40" flag reads correctly from both sides. It has a liner sewn between the two sides so that no light shows through from the other side which eliminates the back side distortion. This banner has a generous 1.5" pole sleeve and is made of heavy polyester. Officially licensed by Collegiate Licensed Products and the University.